Levorg, derived from the words "Legacy Revolution Touring" is Subaru's new stylish right-sized Station Wagon. It slots between the Impreza (which it's based on) and the larger Legacy which is no longer offered in standard (non-Outback) Station Wagon form. 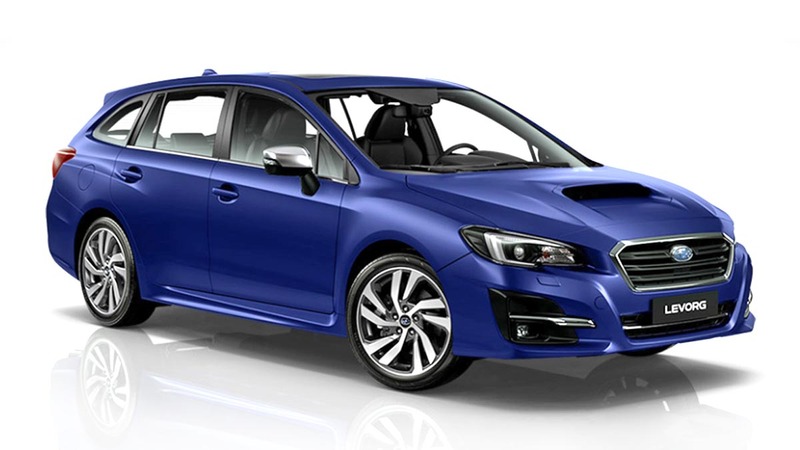 The Levorg borrows some of the WRX's sporty styling like the hood scoop and fender flares, but mixes it with some chrome details to give the sleek station wagon a touch of elegance. For 2018, it gains "EyeSight" which includes Pre-Collision Braking, Adaptive Cruise Control, Pre-Collision Throttle management, Lane Departure Warning, Lane Sway Warning, and Lead Vehicle Start Alert. The Levorg is available with two horizontally-opposed 4-cylinder gasoline engine options, the new 1.6-liter turbocharged direct-injection motor which produces 168hp and 250Nm of torque and the familiar 2.0-liter turbocharged mill which makes 264hp and 350Nm of torque. Both are mated to a CVT. Being a Subaru, AWD is standard.